Divorce is never easy. In fact, it can be one of life’s most difficult challenges, testing the will and grace of even the most even-tempered individuals. When going through a divorce or when facing other family law matters, you need a trusted and capable attorney to guide you. If you are searching for a Fairfax, VA divorce attorney with the ability to fully represent your interests and protect your future, look no further than Curran Moher Weis. Founded by Gerald Curran, Esq. and Grant Moher, Esq., formerly partners at one of Virginia’s largest family law firms, Curran Moher Weis is dedicated to family law and divorce in Virginia. 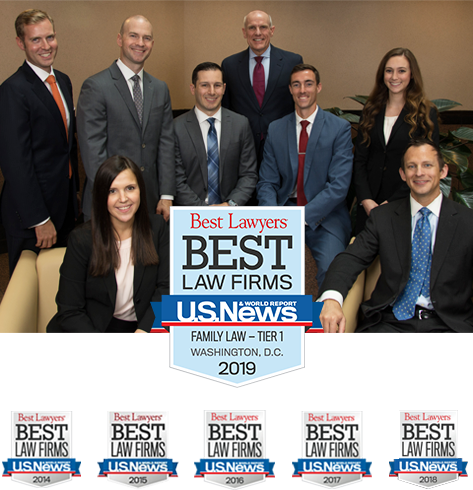 Our practice areas center on the most pressing family-related legal issues you may face, including child custody, child visitation, property division, prenuptial agreements, spousal support (alimony) and child support, military divorce issues, and myriad other issues. Our Northern VA-based family law and divorce lawyers combine more than 35 years of family law and trial experience, and have received honors from Super Lawyers, the AV Preeminent® rating from Martindale-Hubbell®, and notoriety in publications including The Washingtonian magazine, Ten Leaders, Northern Virginia Magazine, and more. We value and fully support the desire of many individuals to achieve a collaborative divorce or cooperative resolution to their family legal issues, without going to court. 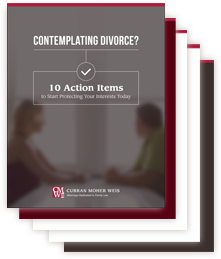 We have attorneys experienced in collaborative divorce as an alternative dispute resolution process. At the same time, we recognize that in many cases collaboration is not an option. Thus, we set ourselves apart by offering a strong divorce litigation team, with significant experience. For an experienced Fairfax, VA Divorce Attorney, we invite you to discuss your situation with one of our capable divorce lawyers. Contact us today at (571) 328-5020 or request a consultation with this form. Stock awards are becoming an increasingly regular addition to employee compensation, especially in the Northern Virginia area.